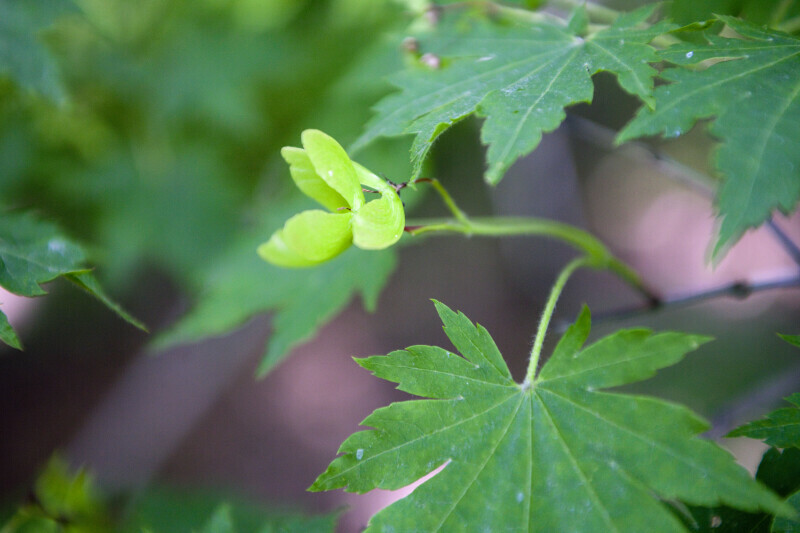 Samaras of a Korean maple (Acer pseudosieboldianum) at the Arnold Arboretum of Harvard University. Samaras are the fruit of maple trees; they contain a seed. The wings of a samara allow it to autorotate to the ground.